Flashback to ’98: Myth lives! Of all the computer games I’ve ever played, only three really stand out: Barrack, Myst and Myth. Barrack is dead, and Myst was really exciting when it first came out but there’s not much to replay there. Myth was the only one that did what really good classic boardgames do: it combined a simple interface with endless options for strategy. 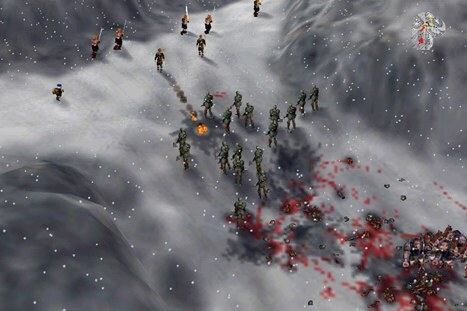 Yesterday I was idly browsing through some new real-time strategy titles (finding them all somehow lacking) while fondly remembering the endless hours wrapped up in troop formations and explosions that Myth provided. I googled “Myth-like game”, only to find that the game I loved, which I thought had died after Microsoft bought Bungie in 2000, is still very much alive, with a multiplayer game server, maps, plugins and updates lovingly produced by dedicated developers working for free. Runs perfectly on my Intel MacBook running Leopard. A computer game that still has staying power like this after 10 years is really something you shouldn’t miss–go download it now.